Considersing its ability to provide viewers with high definition video quality and handle limitless streams of digital media, MKV is becoming widely used video file format today. 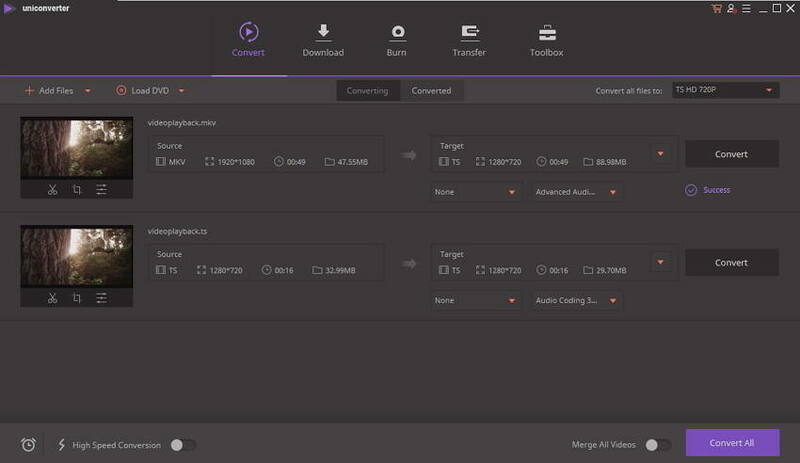 Aside from numerous videos and tracks of audio, MKV also supports subtitles, menus, chapter points, and other encoded metadata, which make sense why most movie you can download from the internet are in this format. Hence, people are inclined to convert MTS to MKV for extra convenience. But how can you do that? Read on to get 3 tools yourself. Speaking of the professional MTS to MKV converter, you can't miss Wondershare UniConverter (originally Wondershare Video Converter Ultimate) that not only converts 150+ video/audio format in original quality at a ultra fast conversion speed but provides extra functions to tune your video better, including burning DVD, cropping video, adding subtitles and more. Directly convert MTS to MKV, MP4 to VOB (DVD-Video ), AVI, MKV, MOV and 1000+ other formats. Burn MTS to DVD disk to play with your DVD player. 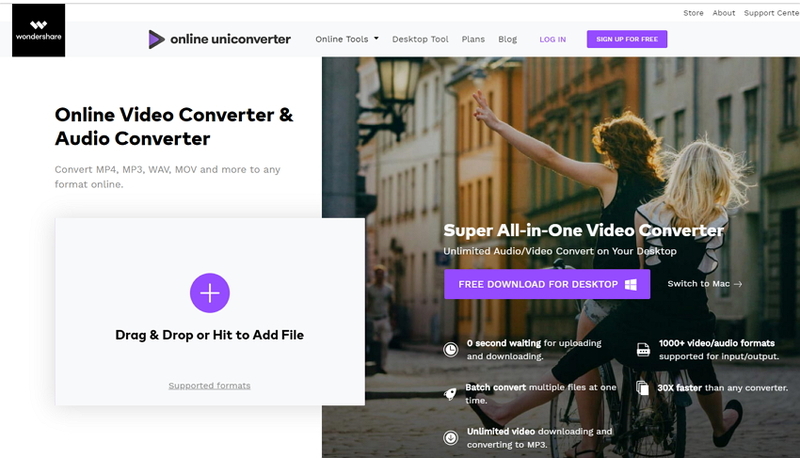 Wondershare UniConverter (originally Wondershare Video Converter Ultimate) is so user friendly that you can effortlessly convert MTS to MKV via the video tutorial or steps below. Step 1 Launch the MTS converter and import MTS files. Download and install Wondershare UniConverter (originally Wondershare Video Converter Ultimate) to PC first, then double click to launch it. Next, click the Add Files button to import MTS file to the program, or you can drag them from the source folder and drop it on the primary interface. Step 2 Choose MKV as output format. Click the drop-down icon beside Convert all files to: on the upper right corner of the program and choose MKV as your output format from the Video tab. Step 3 Convert MTS files into MKV. Simply click the Convert All button will initiate MTS to MKV conversion automatically. During the conversion, you can cancel, pause and continue again as you need. Usually, the conversion won't last long, it depend on the size of the file you are trying to convert. Of course, the bigger the video file size is, the longer it will take to finish converting. And there you go, you can now enjoy watching your MTS videos in .mkv and not only that, you can even add subtitles on it if you want and share them with your friends! This software program allows you to easily convert your MTS file into MKV file format easily for FREE. 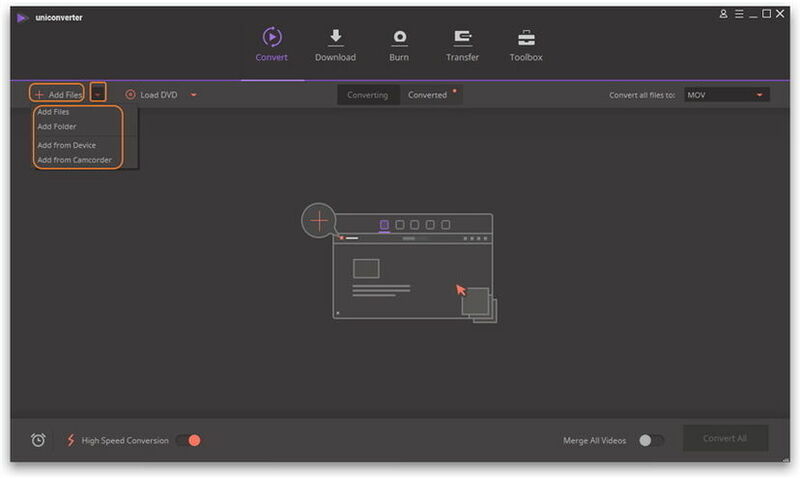 Not only that, it also allows you to edit your videos and also download any video from any video sharing websites all over the internet whenever you want so you can watch them even without internet connection. 1. Free version only supports converting video formats with watermark. 2. Conversion speed is quick, but not as good as the premium version. 4. You are not allowed to download videos from other 10,000 sites except YouTube with the free version. You can use the Online UniConverter (originally Media.io) below. It is an online tool for file conversion that enables you to convert your file from MTS to MKV with the utmost convenience and ease. You have the option of sending it to your mail for downloading it immediately for use. Want to get the best MTS to MKV converter? 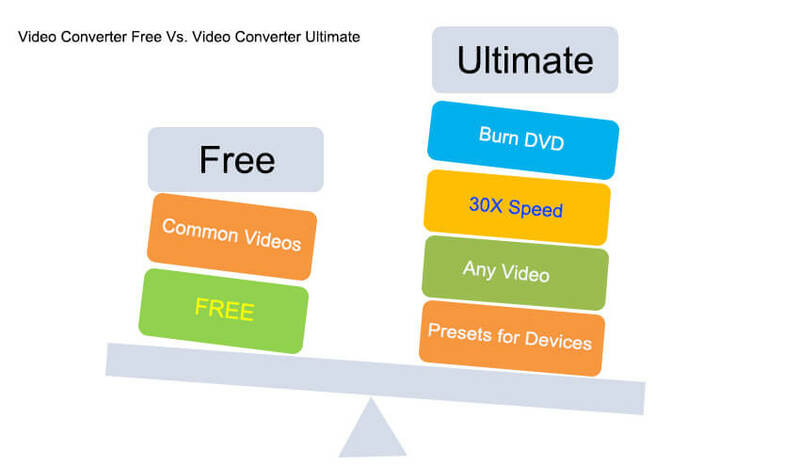 UniConverter (originally Wondershare Video Converter Ultimate) is definitely your right choice.